We are up and rolling with things around here!Family visitors, Living Way student arrival, new land, teen clubs, newsletters… life is moving and we are thrilled to feel like we have caught onto its current. Routine has settled in, we are finding our places, and we are carrying on. Oh how wonderful it is to not feel “new” anymore! But how glorious as well to know that His mercies are new every morning! Each day we wake up eagerly anticipating what God has designed for us— a perspective that living over here has brought alive in us. Our Lord walks with each of us mapping out unique opportunities to shed His glory in us, through us, and around us. What a gift it is when we finally open our eyes to those glories that have been there all along! We are thrilled to introduce you to the 7 Living Way students that just arrived for Phase 2 of the agricultural business training program. 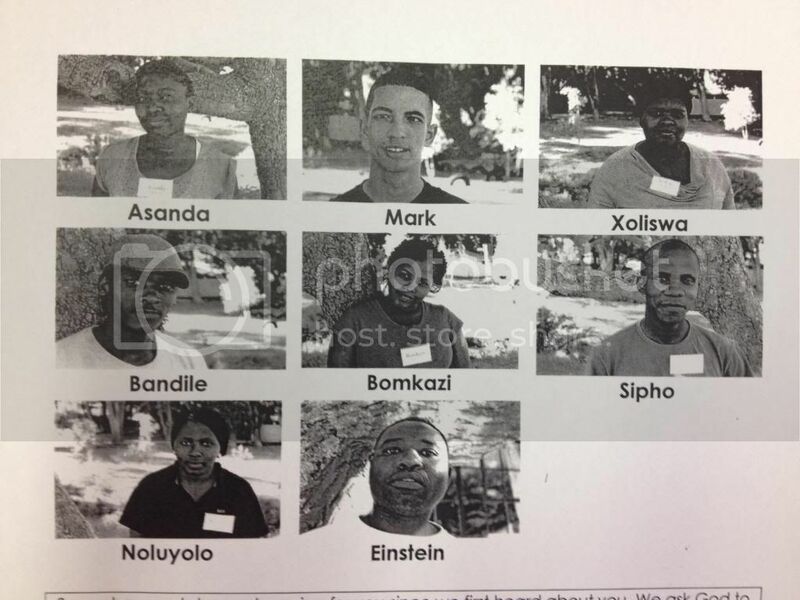 Meet Mark, Xoliswa, Bandile, Bomkazi, Sipho, Noluyolo, and Einstein. They have jumped right into things again and are busy learning and working hard. In this phase, the classroom will consist of time for the students to dig into the core values of business and learn about the basics of supply & demand and value-added products. We got to reap the benefits of value-added products last week with homemade salsa and other delicious treats! 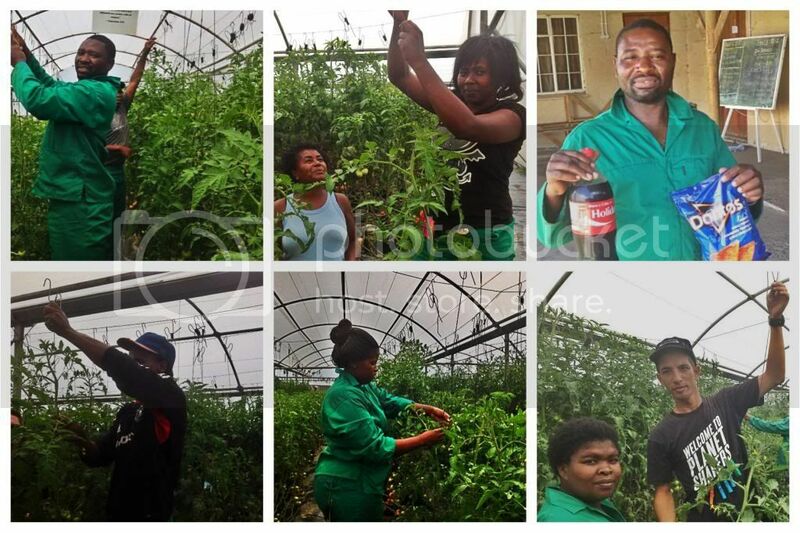 At the farm the students will take on more responsibilities to reinforce ownership and diligence and will get to prove their skills by taking over a row of their very own plants. The permanent farm staff has each agreed to mentor a student and how cool it is to watch them thrive as role models! They have taken pride in such a leadership opportunity. Taylor has come to life since the students arrived and has stories each day of who impressed him, who is learning what, how he hopes someone grows, and how we can pray. What a joy it is to walk beside each of these students and hear their stories, see their eagerness to learn and provide for their families, and share together the goodness of God’s grace and mercy. So many people here have left home and families far away to come find work in South Africa… Fathers that miss the hugs of running children and the gentle touch of their wives, longing for the day when they can be a whole family again. In search of a better economy, many men and women have come from Zimbabwe where the value of a dollar is so low they literally have a 100 trillion dollar bill. Numerous people work day by day by day, never having the assurance of a permanent job and rarely knowing what tomorrow looks like, praying to just make it through today with their most basic needs met. Pray that the Lord will empower the people here to take hold of the skills, knowledge, and opportunities He presents them with and pray that they will always turn back with praise to a God who redeems. Pray that they will find the worth and value our Savior offers. And on a practical level, simply pray that they will find substantial work. Pray also that each of us will never take advantage of the many blessings He pours out on us. They are there. Squeeze your children tightly. Kiss your spouse like you mean it. Study for your test with a sincere gratitude for the chance to be educated. Tell your boss you’re thankful for your job. Be grateful for knowledge and opportunity. The Lord’s mercies are new every morning and He is good ALL the time for ALL people.